serving the Conejo Valley(Agoura, Oak Park, Westlake, Westlake Village, North Ranch, Lake Sherwood, Thousand Oaks and Newbury Park), Simi Valley, Moorpark, Camarillo and Calabasas. Are you thinking of buying a home in the Conejo, Simi Valley or Moorpark areas? Finding the right home can be a difficult process but no matter what you are looking for as an experience real estate agent I can provide you with the resources you need to make the home buying process simpler. Call me and lets chat about how I can put over 26 years of experience to work for you! If you're thinking of buying in or around The Conejo Valley, please review some of the helpful information we've provided for you. You can even complete an online search request and we will look at every single property on the market to find you the home you're looking for.We can serve your needs even if: you're a first time buyer looling for a condo or townhome, you're a relocation buyer (we cooperate with almost every relocation company) or you're a move up buyer looking for an estate property. We do it all! Or is you simply want to estimate your mortgage payments, and buyer resources and articles that will help you through the home buying process. 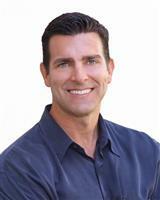 Thinking about selling real estate in the Conejo, Simi Valley or Moorpark areas? No matter which market you're in, you can use the marketing programs and experience of a qualified real estate agent like me to help sell your home quickly and at the right price. It doesn't matter how many people you know in real estate you owe it to yourself to interview at least 2 or 3 different agents and be sure they are top agent like myself. Learn more about my service or contact me to get started today! We can help, serve your needs even if: you're selling a condo, townhome, detached single family home or custom estate. We have marketing systems in place to handle your needs in all price ranges. We also specialize in relocation moves, corporate owned inventory sales, foreclosures, REOs and short sales. Give us a call or send us an email at ricprete@gmail.com. We would like the opportunity to help you. Are you interested in more Conejo, Simi Valley or Moorpark area details? Thank you for visiting www.ricprete.com! This is a one-stop real estate website for all your home buying and selling needs. I’m a professional real estate agent who will help make your search for a new home an enjoyable experience. I'm proactive and effective but not a pushy salesperson so give me a call and let's have a chat.